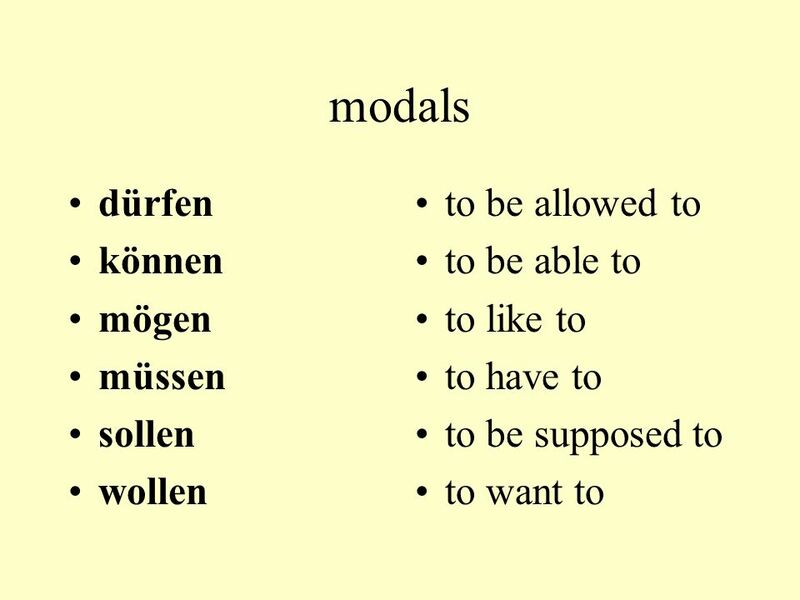 6 modals I have to work tomorrow. Ich muss morgen arbeiten. Peter can come with his friend on Tuesday. Peter kann am Dienstag mit seinem Freund kommen. You have to help me on the weekend. 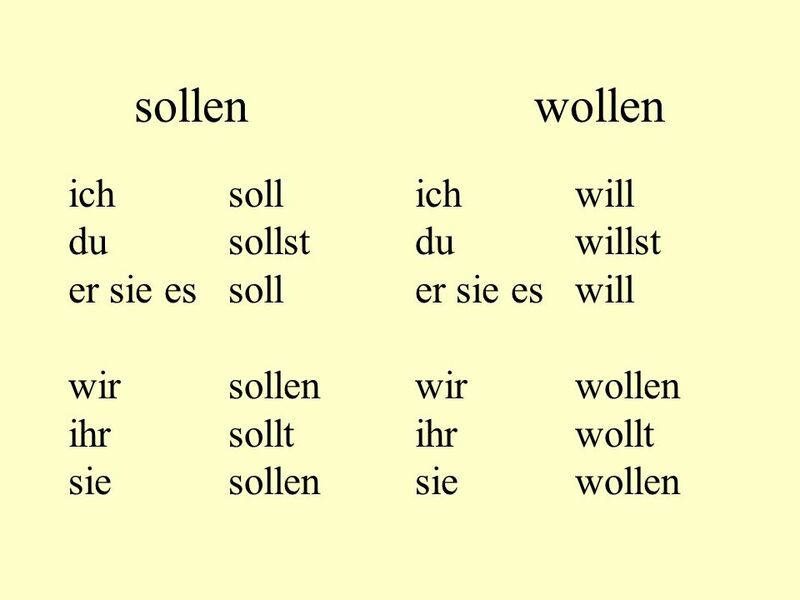 Du musst mir am Wochendende helfen. 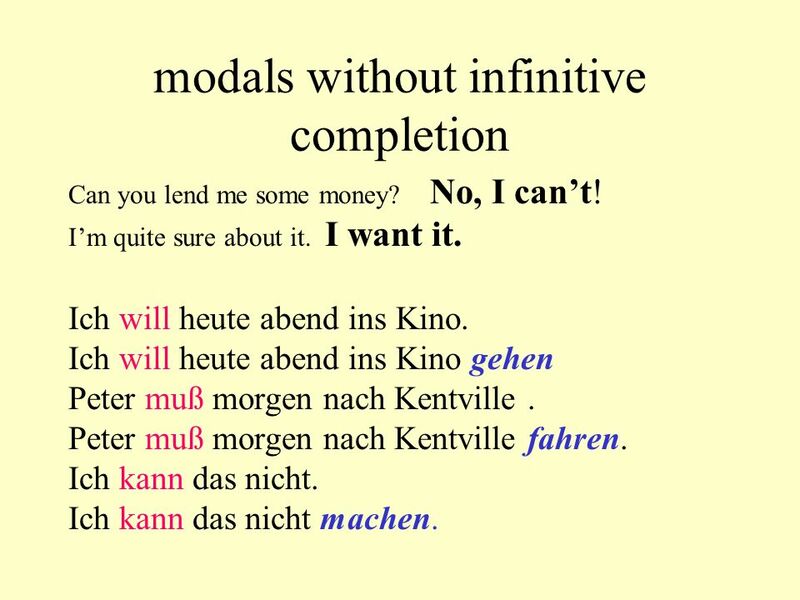 7 modals without infinitive completion Can you lend me some money? No, I can’t! I’m quite sure about it. I want it. Ich will heute abend ins Kino. Ich will heute abend ins Kino gehen Peter muß morgen nach Kentville. Peter muß morgen nach Kentville fahren. Ich kann das nicht. 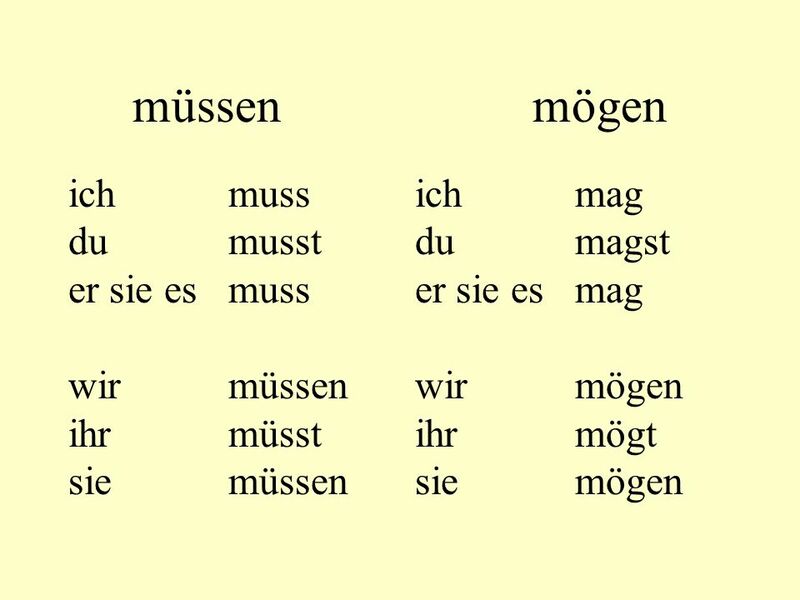 Ich kann das nicht machen. 11 kennen - wissen - können I know, what time it is. Ich weiß, wieviel Uhr es ist. 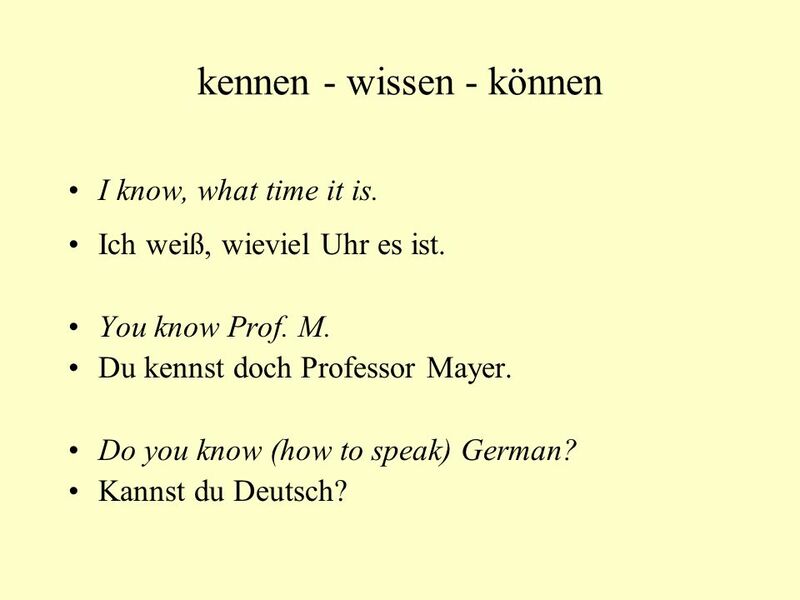 You know Prof. M. Du kennst doch Professor Mayer. 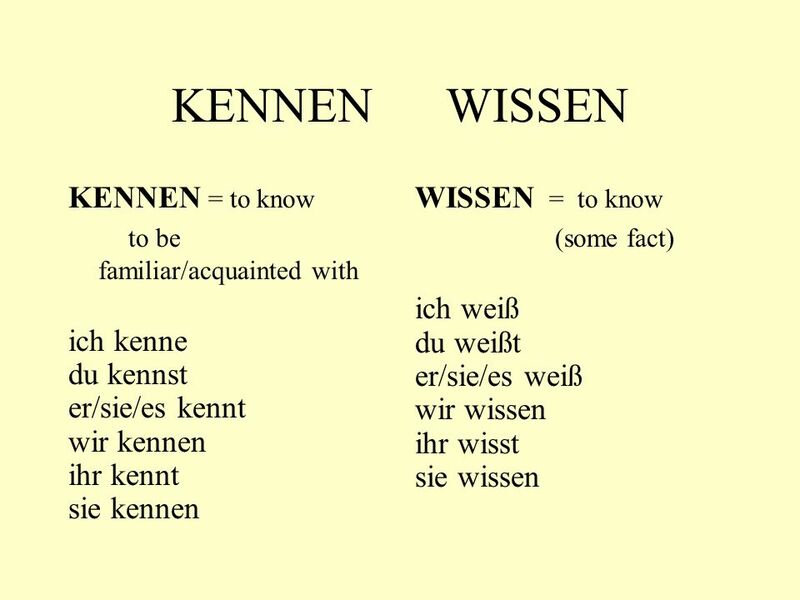 Do you know (how to speak) German? 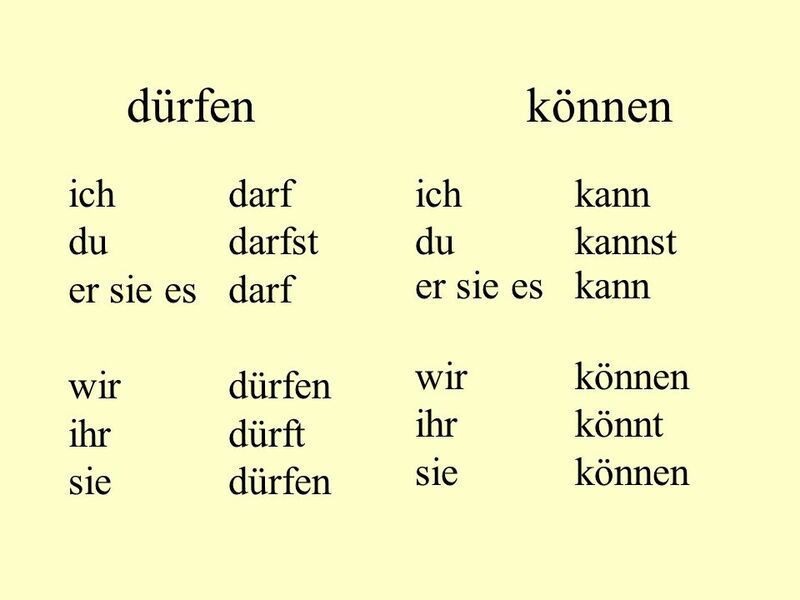 Kannst du Deutsch? 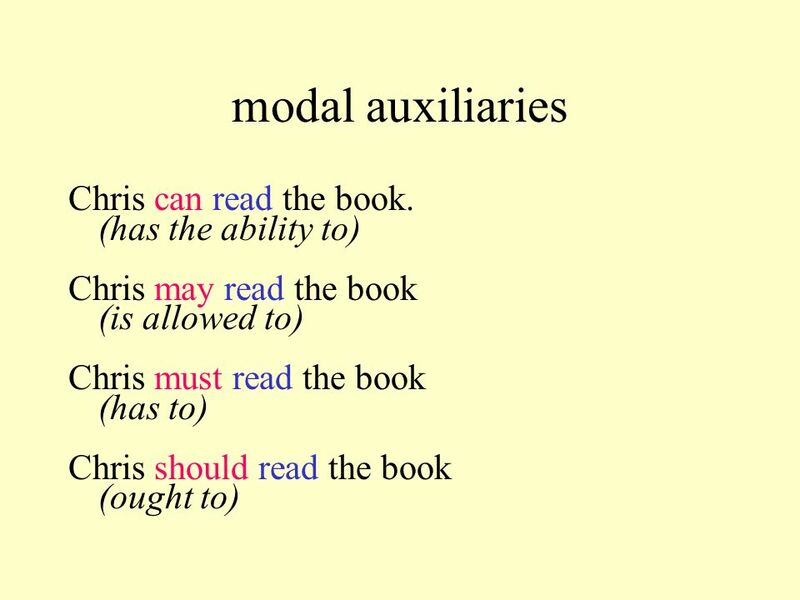 Herunterladen ppt "Modal auxiliaries Chris can read the book. (has the ability to) Chris may read the book (is allowed to) Chris must read the book (has to) Chris should." 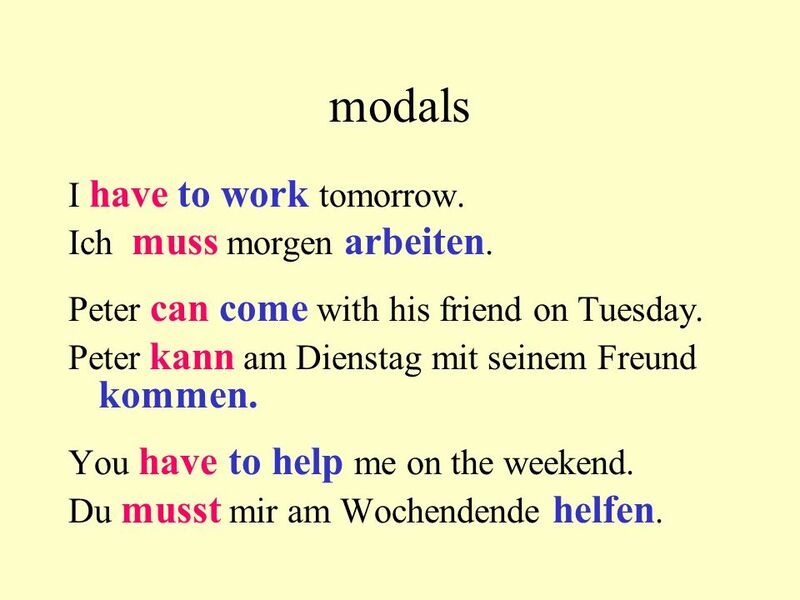 Modal Verbs Narrative Past. 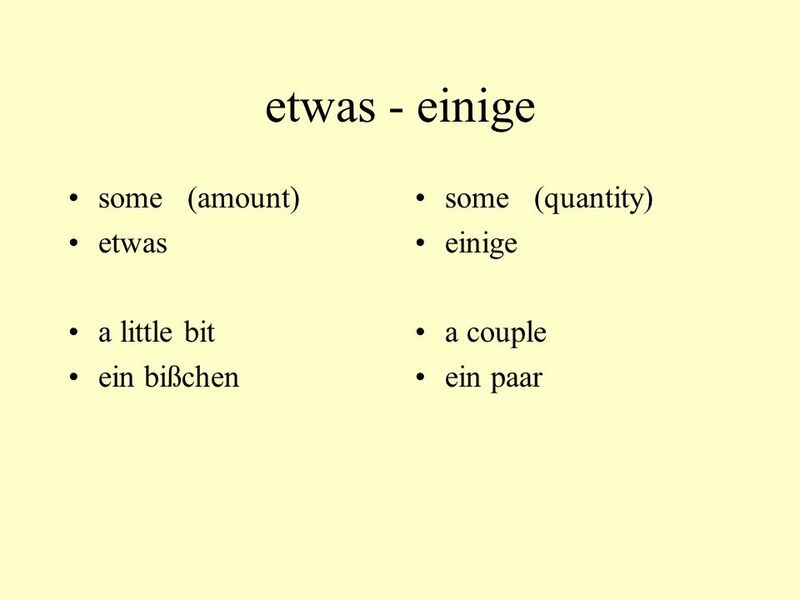 Ich will Ich wollte. Heute ist Mittwoch, der 3. Oktober 2007. 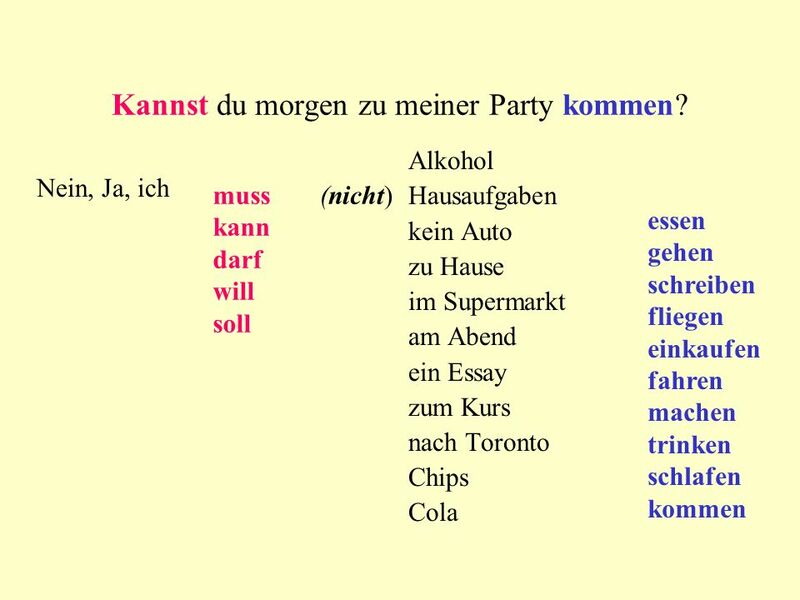 Deutsch I Kapitel 6 Test Review.